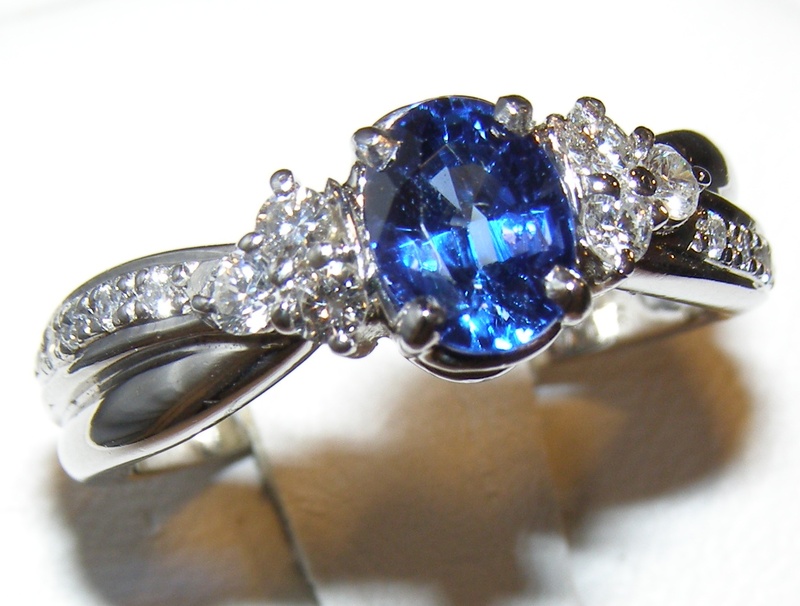 This ring is selected as a top 10 favorite due to its elegant style and very high quality Madagascan sapphire. 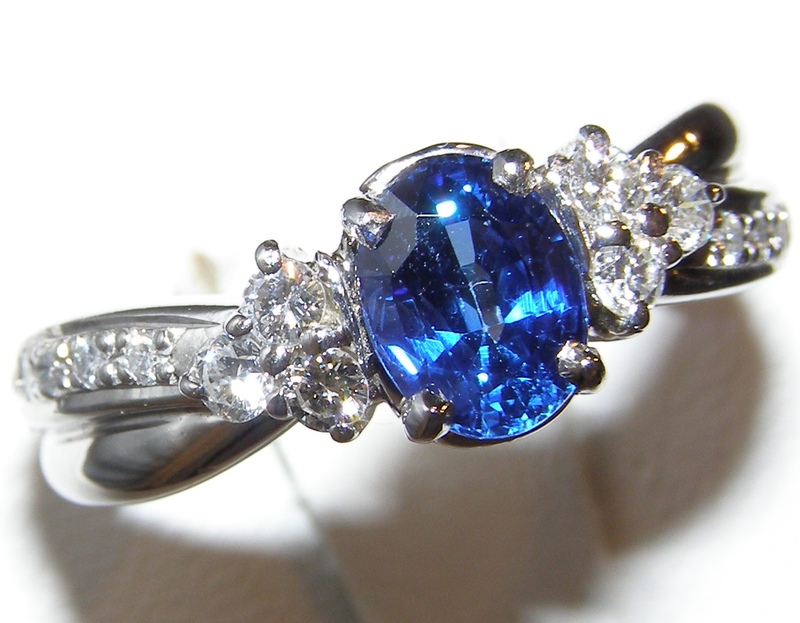 Center prong set in a low position for added security is a 1.32 oval brilliant cut vivid cornflower blue sapphire. 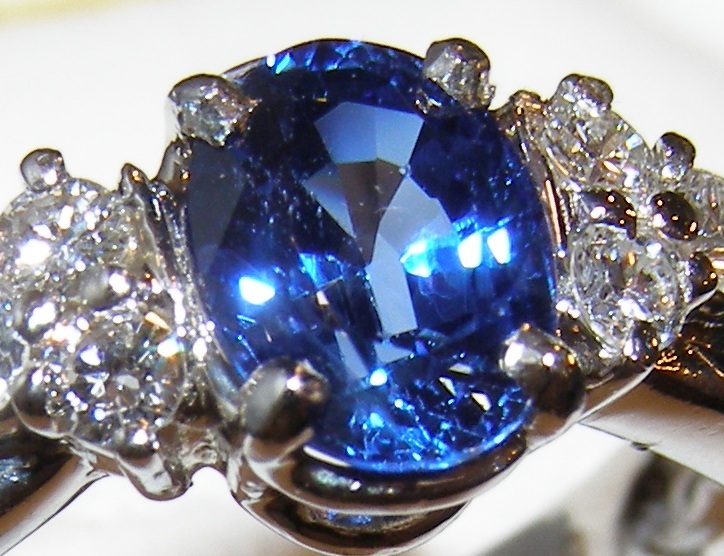 The sapphire has near loupe clean clarity, precision cutting (no dull areas only bright brilliance), ideally saturated rich color that is even throughout the stone, and textbook brilliant luster. 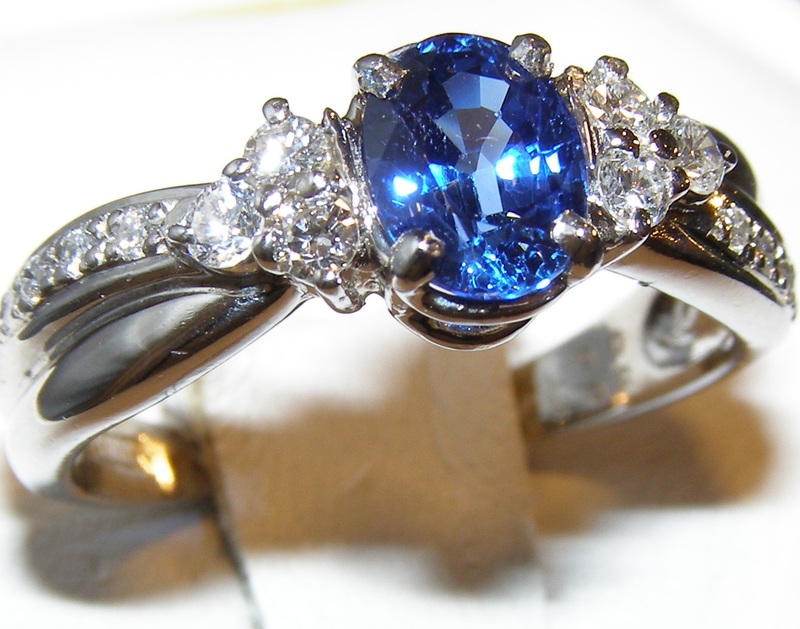 The sapphire measures 7.01 X 5.40 mm and is set between a trio of round brilliant diamonds. 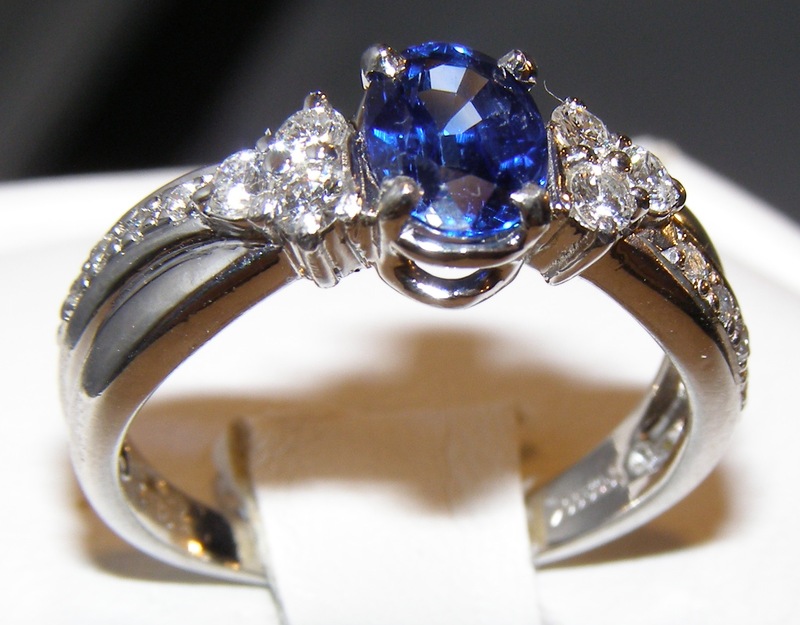 The trio forms a triangle shape and provides a sophisticated symmetrical style to this traditional ring. 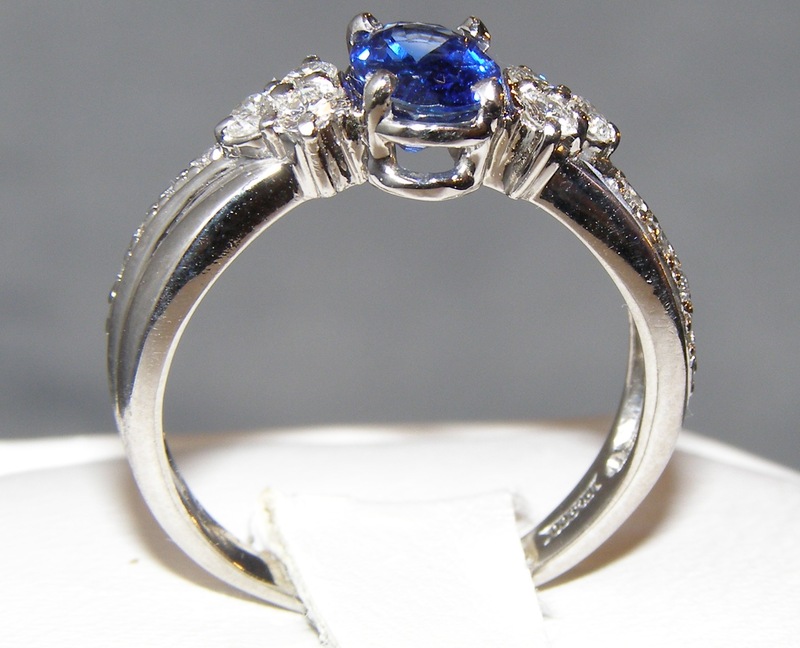 Additional round brilliant diamonds are channel prong set into the ring’s shoulders. 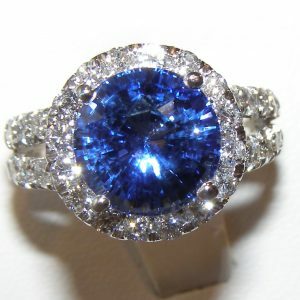 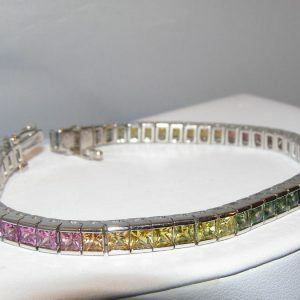 There is 0.61 carats total diamond weight and the diamonds are highly rated VS2 clarity and GH color. 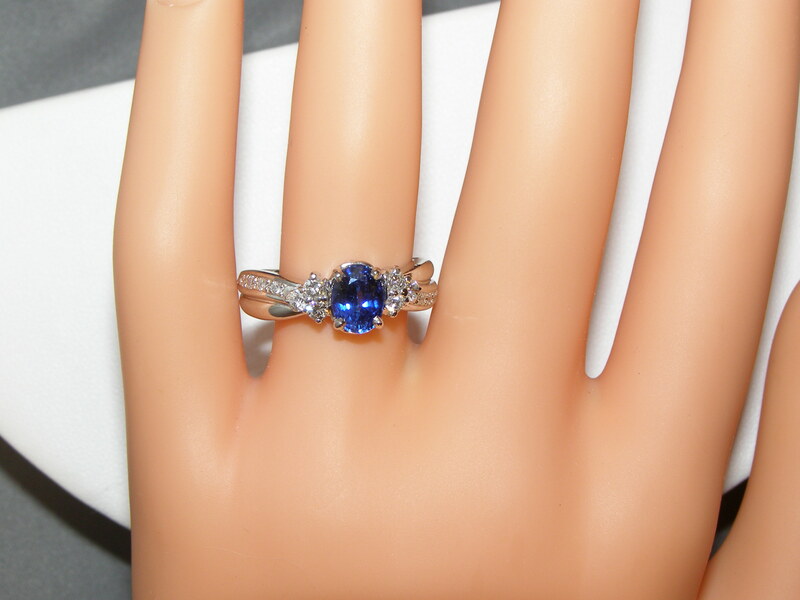 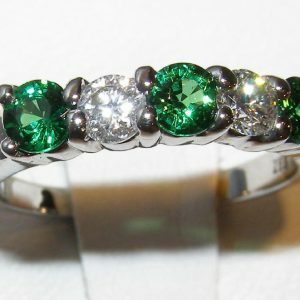 The ring weighs a substantial 6.2 grams and is a size 7 (please indicate your sizing preference on the order form).